Clever design and over-the-cloud connectivity make this pricey combo camera a top pick. The Blackvue DR750S-2CH dash cam impressed us right out of the box. With similarly-styled front and rear cameras, a clever mounting system, and tubular good looks, it just looks like it will do its job well. It can also be accessed from across the Internet and uses Wi-Fi to communicate with the company’s Android and iOS apps. But you pay for all the goodies: At $399 ($283 without the rear camera), the DR750S-2CH plays in the same rarefied pricing sphere as Thinkware’s top-of-the-line cameras. If this lies beyond your budget, check out all of our dash cam reviews for a better match. If you’re wondering what we meant by tubular, well, it’s simply that both the front and rear cameras are tube-shaped. The front is about 1.4 inches in diameter and just over 4.6 inches long, while the significantly smaller rear camera comes in at just under an inch in diameter and 2.6 inches long. Both use the same STARVIS 2.1MP sensor and max out at 1080p at 60 frames per second, with a horizontal field of view of 139 degrees. Both cameras come with lens caps and may be easily removed from their mounts—a big deal if you park on the street. 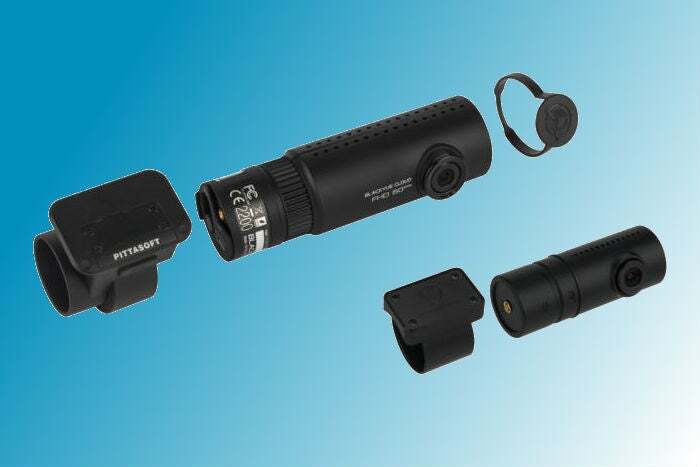 The two cameras connect via a wire sporting tiny coaxial pin connectors like you see with cable TV, only a lot smaller. They’re not particularly delicate, but it will pay to be careful with them if you connect/disconnect the wires often. The front unit is supplied power via a pure power adapter (not USB) that plugs into the cigarette lighter/auxiliary power socket,4 while the rear draws power via said coax cable from the front camera. The DR750S-2CH’s mounting design is quite clever. Both cameras slide into their mounts (which use adhesive, not suction) and rotate a full 360 degrees. The front camera click-stops to hold it in position, and you must press a unlock/lock button to remove it. The back camera simply slides out, being held in place by friction. If you’re a taxi or Uber drivers, you can use either to record passengers, assuming that’s legal where you drive. 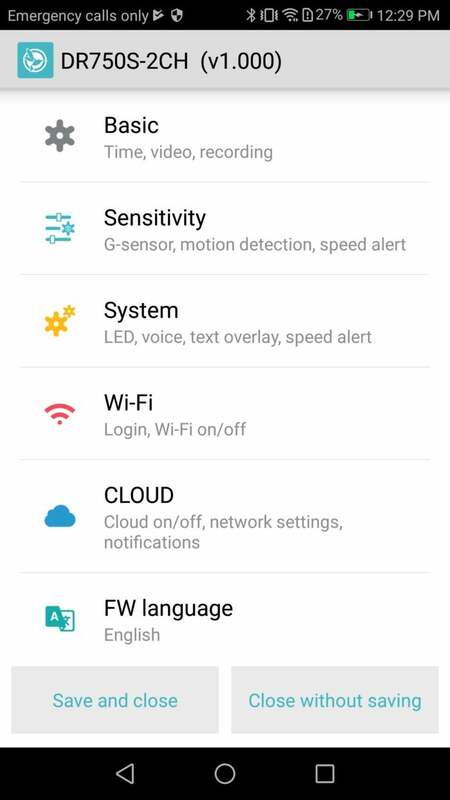 The settings categories available in the BlackVue viewer and configuration app. You can also see recorded video, a live view, and access the camera from across the web if it has an Internet connection. Control of the camera, aside from a snapshot button on the right side, is done via your cell phone, as shown above on an Android phone. It’s pretty easy to get going. Download the Blackvue app (there’s a new one and a legacy app for older models), tap on the camera name automatically found and displayed in the BlackVue Wi-Fi section, then enter the password found on a label on the right side of the front camera. That’s pretty much it, though you might want to do this with the camera removed from its mount. Though you can remove the SDHC card from the front camera and simply offload the video using the supplied USB memory card caddy, the DR750S is meant to be managed and accessed via Wi-Fi with the aforementioned Blackvue app on your phone. That said, very nice viewing software is included that also maps your location during the drive. If you’re documenting a trip, this is a very nice feature, albeit not unique in the industry. 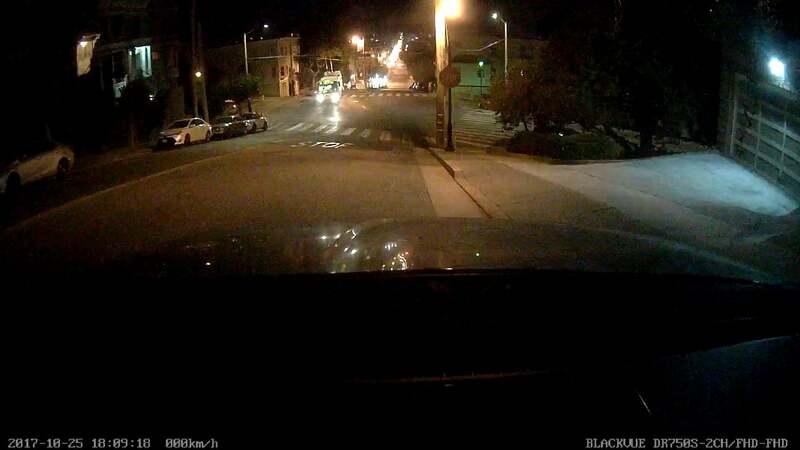 Probably the neatest trick with the Blackvue DR750S is Internet access (via the cloud). This opens up a world of possibilities, including capturing video of the idiot who stole your car. The feature obviously requires an Internet connection. This can come from your smart phone, but that’s probably viable only while you’re in the car. If your car has its own connection, then hey! We’re thinking of an even smarter version that can sniff open networks and use free Wi-Fi. Even more possibilities for keeping track of your car while you’re not in it. As mentioned, both cameras can record at 60 frames per second with 1080p resolution. Using Sony Starvis sensors (exceedingly rare in a rear view camera), the night video is superb—both front and rear. The day video is also great, albeit with the mild fish-eye distortion due to the wide field of view. You can still track the absurdities of daily driving just fine. Though limited to 1080p, the DR750S’s 60-fps video is more than adequate for documenting your surroundings and any unpleasant events. By that, we mean we liked it quite a bit. The 60 frames per second results in smooth video. Color is well saturated and largely natural-looking, if a tad on the cool side. Overall, the DR750S and its rear companion provide the best overall video quality we’ve seen to date. Nothing against some of the other units, it’s just that seeing the same high-quality from both directions is quite cool. This image doesn’t really do the DR750S’s night video justice, but it's quite good overall. There’s also an enhanced mode which further improves detail. 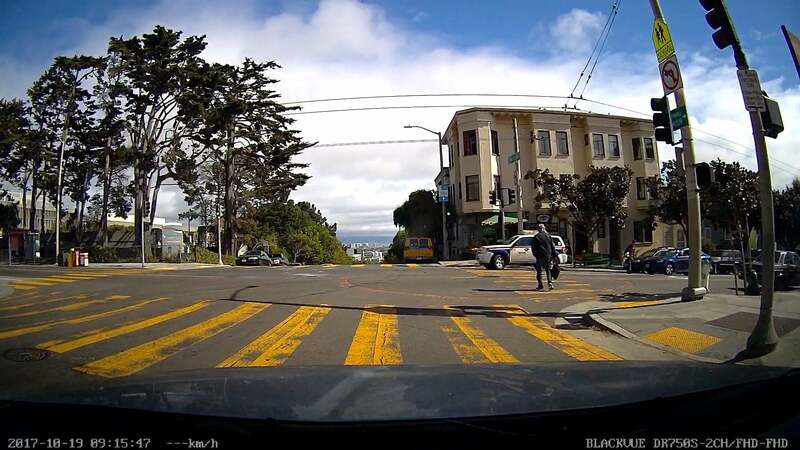 The front camera ran only slightly warm to the touch, and Blackvue claims it’s safe operating up to 156 degrees Fahrenheit with a shutoff temperature of 176 degrees. That’s well above the norm, and should be good enough for use in more desert-like areas. That said, we always recommend parking in the shade, using a sun shade, or removing the cameras if you’re going to be parked for any length of time in the baking sun. If we have a complaint about the DR750S, it’s the voice feedback. The sound is a bit tinny under the best circumstances. Worse, it's very quiet at its default setting of 4, and bumping that up to its max of 5 helped only a little bit. It might be sufficient for a luxury sedan, but inside our test car, a convertible, it was basically indecipherable if we were in motion because of wind noise. Luckily it’s not really necessary, because several status lights confirm when things are hunky-dory. Or not. When it comes to overall video quality, configuration, and access (if you’re phone centric), as well as easy removal from the vehicle, the DR750S-2CH is the best two-camera system we’ve tested to date. We see great things for the cloud connectivity in the industry, and Blackvue is the first company to get there. But the DR750S-2CH is quite expensive. 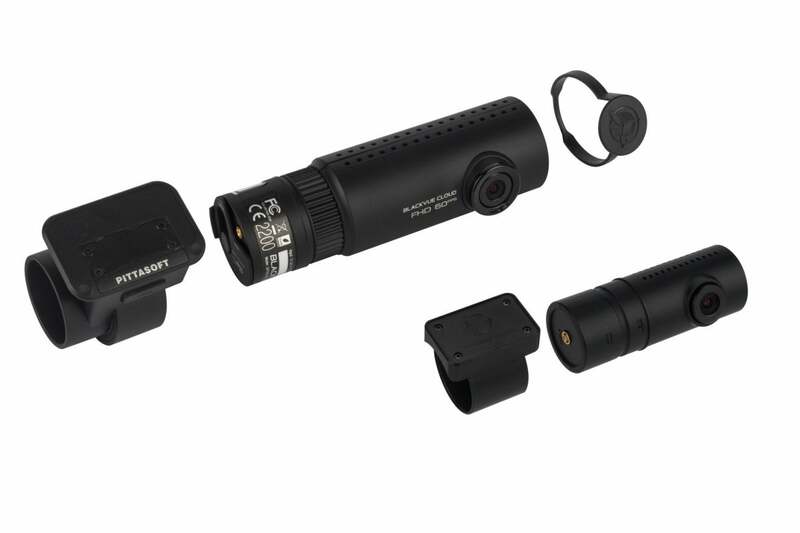 Significantly cheaper dual solutions such as the Cobra CDR895D Drive HD and the Rexing DashCam will get 'er done quite well. Additionally, Thinkware’s excellent products provide the driver assistance features lacking in the DR750S-2CH. Still, BlackVue has done a bang-up job here. Nice. Just turn off the tinny voice.